FOR SALE: 107 S 19th St in San Jose $1,099,000. This home is an impressive 4,400 SF property built with multiple families in mind. It sits on a 17,000+ SF lot and has 9 bedrooms, 6 bathrooms, and 2 kitchens! Ideal for extended families, combination live/work arrangements, or numerous rental income opportunities. Email me for more details or to arrange a private showing. · Won a multiple offer situation in San Francisco, and still paid under the asking price. · Helped a client purchase a home at auction in South Lake Tahoe. 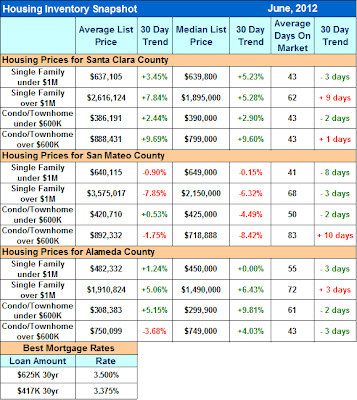 · Written multiple offers for properties in the below $400,000 range. 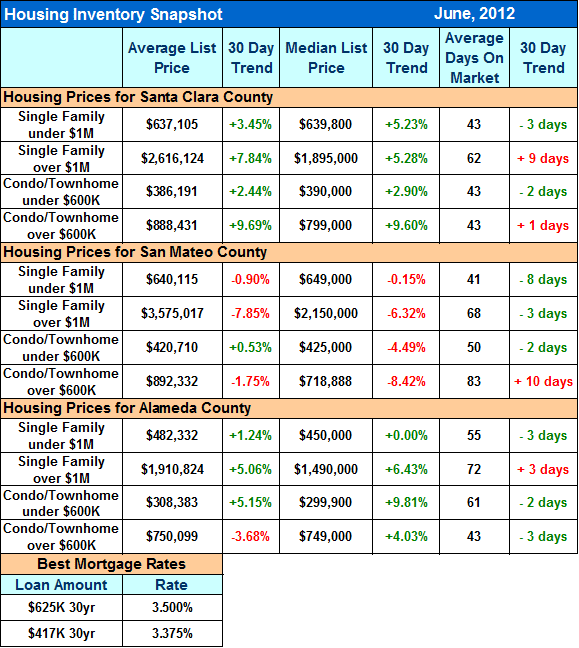 · Counseled sellers in Sunnyvale, Los Altos and Burlingame regarding what it would take to get top dollar for their home. Prices in 2012 for homes below $1M have risen roughly 10%. If you would like to know the latest price on your home CALL ME or send me an email. Improperly prepared properties don’t get the attention they deserve. I can show you how to get more than you expect for the sale of your home…FASTER. Buyers who follow my advice are getting offer acceptance! Be a hero and forward this email to your friends who are struggling to get their offers accepted. NATHAN’S TAKE: The housing market has definitely slowed down from April/May. We are seeing much less desperation on behalf of buyers, so if you are considering selling now may be a better time than later in the year. The European crisis and recent downgrade in earnings expectations of local tech companies has stifled the recovery. If you wanted to make a move this year, now may be the best time. All of this hinges on interest rates staying put, but if they don’t we will see a more dramatic slowdown. As a buyer, low interest rates are key to bringing payments down. Contact me and we can pencil out some scenarios that might work for your situation. East of highway 880 is starting to see the seasonal drop in activity. For Comparison: West of highway 880 is slowing down as well.